a Figure 8 with a square side. One end is symmetrical the other end has a flat edge on one side (as shown in the auction photo) The two hole plug is 10/16 long by 5/16 wide and the distance from one hole center to the other hole center is 11/32. 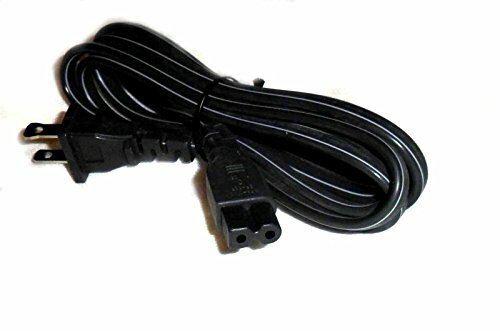 This 2 WIRE 7A 125V cord is used on a variety of brand name products including electronic game stations, recording devices, sound equipment, camera equipment, battery chargers, voltage converters, power supplies, transformers and adapters. If you have any questions about this product by EopZol, contact us by completing and submitting the form below. If you are looking for a specif part number, please include it with your message.